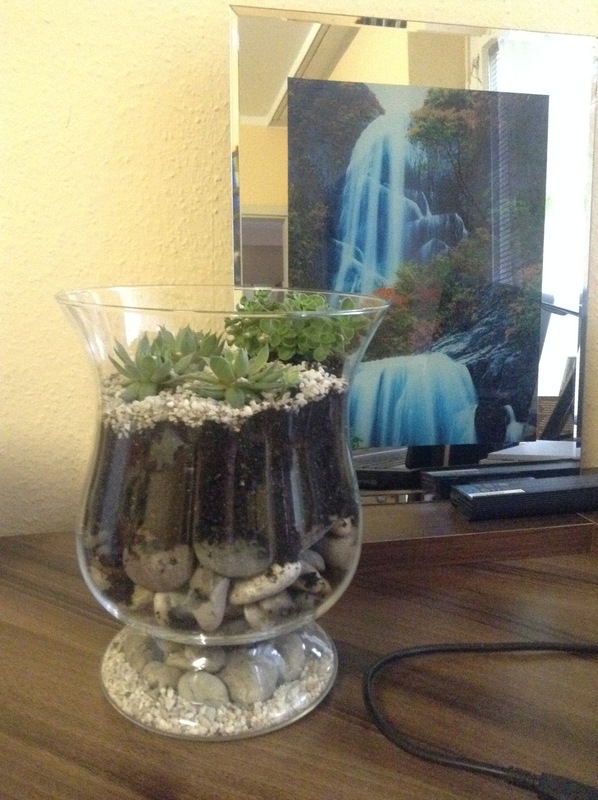 Lately, I had plenty of time to do something pretty, so I decided to do a terrarium. Terrarium is a sealed or opened glass container with plants inside. I got the idea from Pinterest, namely from here and was very happy to try it. Yesterday I went to the Flohmarkt, where I bought glass containers (I got one for 1,50 euro and bought 3 :)) and various succulents. 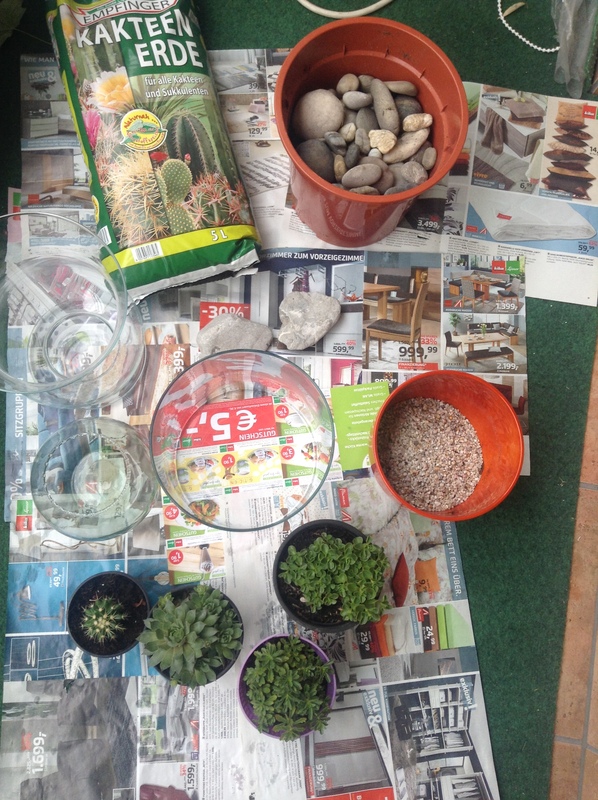 Today, I went to the Bauhaus, a big market for house and garden supplies, and bought succulent soil and little rocks. You may also need moss, unfortunately I couldn’t find it so I went without it. Having all these, it remains to put them together. It is so easy, you really can do it under 1 hour. Put some rocks at the bottom. Add the succulents. You can combine them as you like, you can add cactuses. 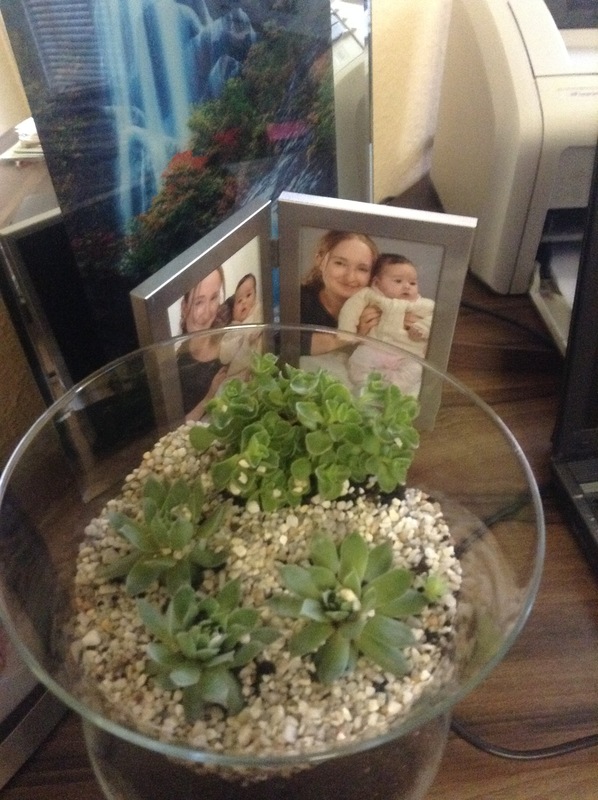 This is the beauty of a terrarium, you can be as creative as you want. On the top you can add moss or very small rocks. They offer a nice view to the terrarium. Here are some pictures of what I got. 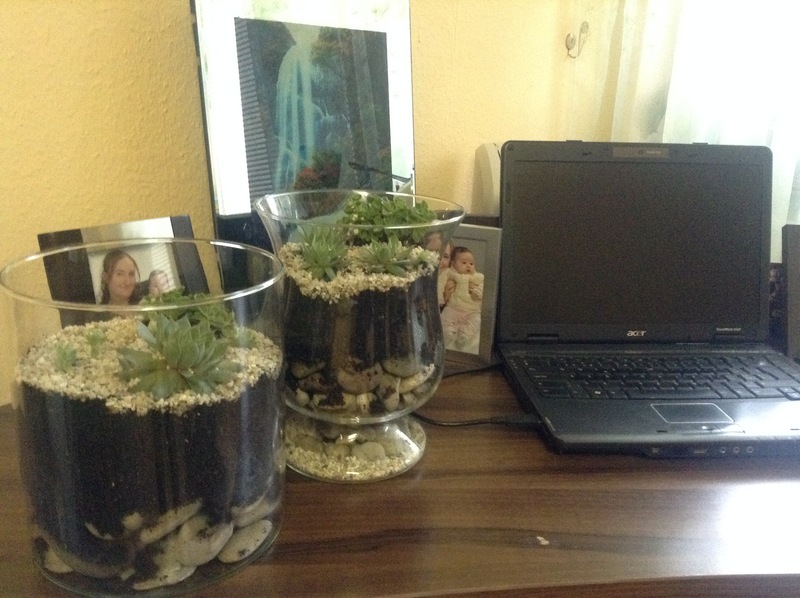 Yeah, you are right, perfect for the desk and I think if you plant cactuses than it is great for health. Thank you James. How so? thought they would be more dangerous! I heard that they absorb radiation, but maybe I am wrong. It was something I knew a long time ago.